Logo to any business organization plays a vital role in marketing your business. Before your final product or your marketing reaches to your customers, the first thing of your firm encounters with your customers is your company's logo design. Though we have Social Media and Digital Marketing to market or promote your business, since the last couple of years logo design branding is on trend. Various prominent organizations and firms are investing a lot in designing the best logo design for their company. In this advanced technological world, where we have Social Networking and Digital Marketing to promote and market our businesses, there is branding company who helps your business in marketing and branding. These branding companies have hired the best branding experts who use their creative mind design the best branding strategy for your business. Apart from outstanding branding strategy, one additional thing your business need is a unique, fresh and the best logo design for your business. A logo to your company acts as a face of your business. On the contrary, a logo quickly grabs viewer's attention and also tells your company's core value as well. Logo design also brings an ocean of new customers to your business and also maintain the current ones as well. Below are some of the reasons why a logo is an essential ingredient in your marketing policy. Let us see Top 3 Examples of Beer Label Design Useful In Beer Marketing. 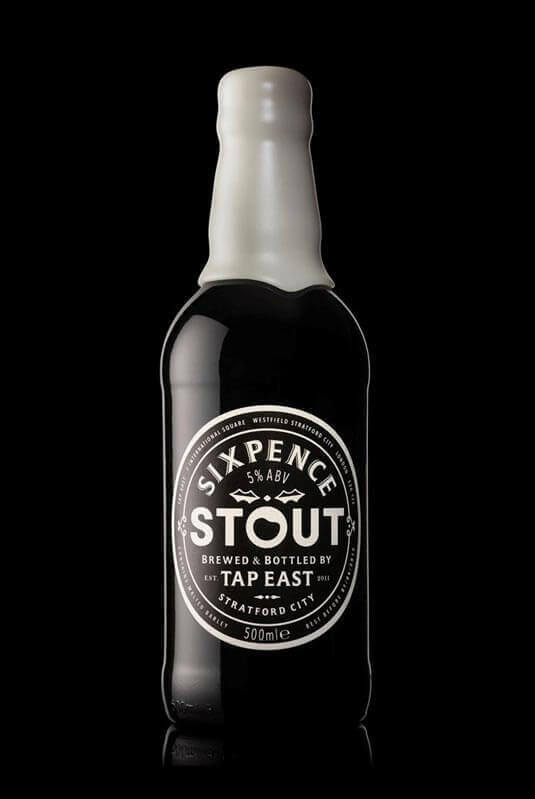 Collaborating with East London brewery, Tap East, Sixpence Stout had designed an outstanding limited edition Christmas beer with limited edition label design too. The most amazing thing which people loved about the label is, it is most uncomplicated Custom Beer Labels you will ever come across. Their Black colored beer bottle comes with the pure white colored font which contains the company's as well as the collaborating company's name in the between of the label. Every beer label designer should learn the main thing from this design is, main the simplicity they have maintained in their Custom Beer Labels which any ordinary person will love to have a look. 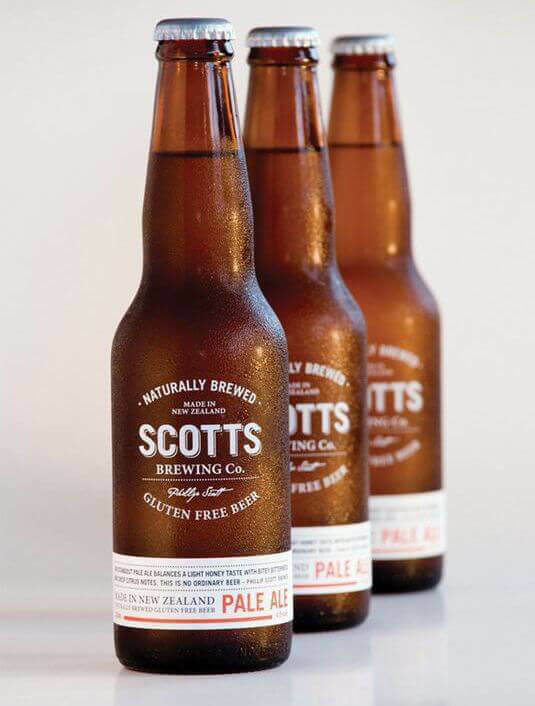 The label design of Scotts Brewing Company is yet another example of slick but straightforward Custom Beer Labels. The designer Penny Dombroski has designed the label in such a manner that it contains all the information of the beer. It shows the beer is naturally brewed, what kind of ingredients they have used in the beer and most importantly, on their label, they have also mentioned 'GLUTEN FREE BEER' which directly shows how much they care about their customer's health. The main thing which every label designer must learn from this design is, by providing all the necessary information about the beer will give the customer a satisfactory beer drinking experience. If you are planning to go vintage for your personalized beer labels, have a look Innis & Gunn's label design. They have implemented the vintage design in their label design. In their label design, they have used slick and straightforward vintage design which contains company's name in the middle with the ingredients they have while making beer. This design helped them to entreat both a classic as well as modern artistic touch using the of red and golden colored classic combination. At last, hiring the best logo designer to develop your company's logo will assist you in creating the best and unique logo design for your company. Unique logo design plays an essential role in increasing the sales ratio of your company. Furthermore, you will love to know everything about custom logo design.